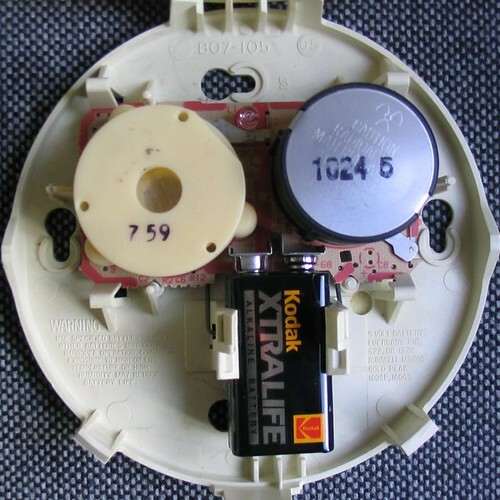 Perey Law > Blog > Product Liability > Is Your Smoke Detector Working? For many years, the lawyers at Perey Law Group have represented families who lost loved ones, and people who have been severely injured in fires that burn homes and apartment buildings. In investigating an injury or death caused by an apartment fire, it is important to determine what disclosures were made to the renter regarding smoke detectors. (3) Installation of smoke detection devices shall be the responsibility of the owner. Maintenance of smoke detection devices, including the replacement of batteries where required for the proper operation of the smoke detection device, shall be the responsibility of the tenant, who shall maintain the device as specified by the manufacturer. At the time of a vacancy, the owner shall insure that the smoke detection device is operational prior to the reoccupancy of the dwelling unit. . .
(b) “Smoke detection device” means an assembly incorporating in one unit a device which detects visible or invisible particles of combustion, the control equipment, and the alarm-sounding device, operated from a power supply either in the unit or obtained at the point of installation. It is the responsibility of the occupant of all new or existing dwelling units, owned by other than the occupant, to maintain and test all smoke detection devices installed within the dwelling unit by the owner. Actual costs of maintenance, repair or replacement of smoke detection devices shall be as agreed beforehand by the occupant and owner. However, failure of the owner to abide by the terms of any such agreement does not relieve the occupant of the responsibility to maintain the smoke detection devices in a fully operational condition at all times. Failure to do so can subject the occupant to the penalty provisions of WAC 212-10-055. Installation of smoke detection devices shall be the responsibility of the owner. Maintenance of smoke detection devices, including the replacement of batteries where required for the proper operation of the smoke detection device, shall be the responsibility of the tenant, who shall maintain the device as specified by the manufacturer. At the time of a vacancy, the owner shall insure that the smoke detection device is operational prior to the reoccupancy of the dwelling unit. . .
Key questions asked during the initial investigation of an apartment fire case are: (1) what type of smoke detector was in the apartment and whether it had “push button” testing, (2) whether the smoke detector was tested by the landlord prior to occupancy, (3) whether a written notice was given to the renters regarding smoke detection devices at the time of occupancy, and (4) whether the renters tested and maintained the smoke detector after occupancy. Other important considerations are to determine the floor plan of the apartment building and location of the smoke detector as the WAC is detailed about the requirements for the location and number of smoke detectors based upon different floor plans of the dwelling unit. When it comes to fire safety, a working smoke detector is essential. Add battery replacement and testing of smoke detectors to your list this weekend and sleep better this winter!